Snorting chocolate has Chuck Schumer calling for regulation. This bizarre product was originally created for the Rolling Stones and is totally legal. Is it dangerous? Photo illustration by Slate. Photos by Coco Loko and Thinkstock. If news reports are to be believed, health-conscious club-goers have a new drug of choice—instead of cocaine, they’re snorting chocolate. Chocolate snuff, designed in 2007 for the birthday party of two members of the Rolling Stones, has made its way through Europe’s club scene in recent years. Apparently, a nasal shot of cocoa allows chocolate’s caffeine to more quickly reach the bloodstream by penetrating the nasal membrane (rather than having to be digested), yielding a quick, immediate, and “natural” buzz. To make it, chocolatiers grind cacao into dust-fine powder, often including other ingredients such as ginger and mint. The original delivery method, made by Dominique Persoone of the Chocolate Line in Antwerp, Belgium, used a mini catapult to launch the powder into the nose from below. (In the 10 years since Persoone created it, he’s sold 25,000 units, catapult included.) The product proved more popular than the posh delivery system, so today people snort chocolate the same way they snort anything else—via pen caps, dollar bills, fingernails. Now, it’s come stateside. 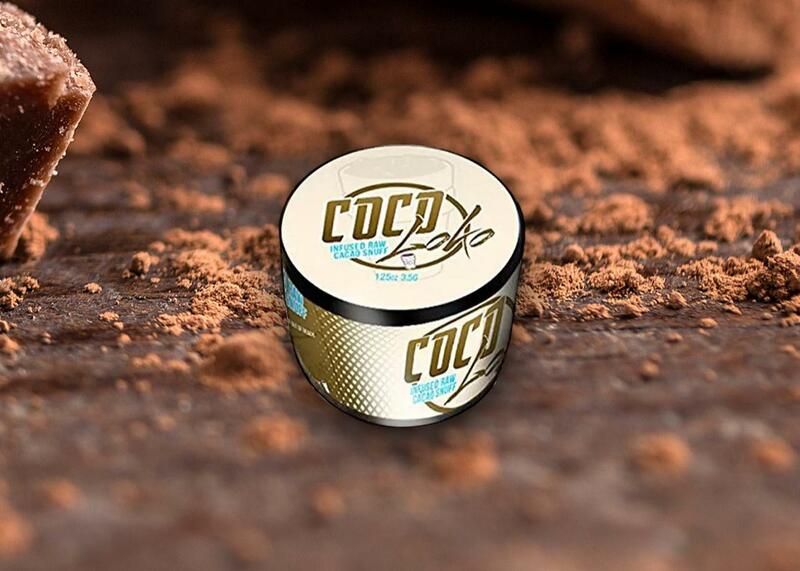 Dietary supplements company Legal Lean is offering a substance called Coco Loko, an American chocolate snuff, for $20 for 1.25 ounces. The New York Post reports that Coco Loko contains ginkgo biloba, taurine, and guarana, as well as cacao powder. The substance, whose name evokes the memory of Four Loko, comes from a company that also sells “purple drank relaxation syrup.” It’s sold primarily online and to a lesser extent in smoke shops. It’s also untested, and like cabaret in its day, it’s starting to get attention from American lawmakers. Senate Minority Leader Chuck Schumer wrote a letter to the Food and Drug Administration asking it to investigate the safety of the substance. That might prove tricky. Coco Loko is a dietary supplement, and like all other dietary supplements, it requires no FDA approval to be put onto market. The FDA can regulate it, but for the agency to step in, Coco Loko must be proven to be either unhealthy or mislabeled. Seeing as how Coco Loko is just chocolate powder, it seems unlikely it will be deemed any less safe than a preworkout energy powder called Bucked Up Blood Raz, which contains deer antlers and caffeine and is also sold legally in the United States. Really, the only chance for Coco Loko to end up off the market would be if the product is found to promise something it can’t deliver. Looking through the marketing makes that seem unlikely too: Most of the promises are vague, linking the cacao to a “sense of calm focus” (surprising for something you’re instructed to snort) or a “steady rush of euphoric energy.” When specific claims are made, the label carefully avoids any mention of cacao as the cause, saying “when endorphins are released it triggers a positive feeling,” but not suggesting that cacao actually causes that release. Perhaps people just prefer to take their chocolate the normal way—through their mouths.